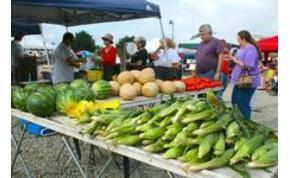 The Market offers the best fresh produce from local vendors and farmers in the area. Spend your Saturday morning at the Saxony Market, where farm-fresh produce and community come together! Notes: Saxony Beach open swimming Memorial Day Weekend through Labor Day.